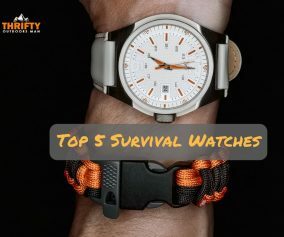 What is the Rule of 3 in Survival? 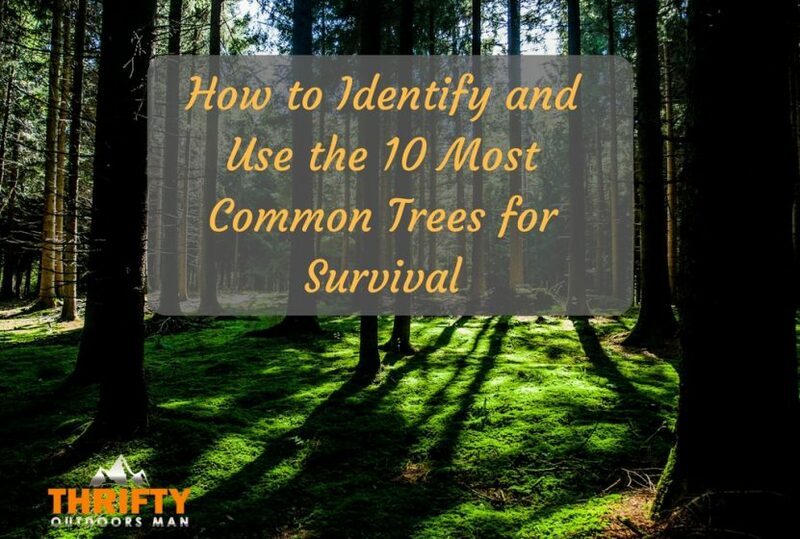 Below is a summary of how to identify and how to use each of the 10 most common trees for survival. Feel free to share this infographic. I go into a little more details below the infographic. 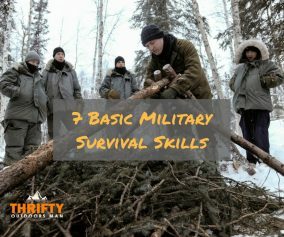 If you ever have the misfortune to find yourself lost in the middle of the woods with no food, water, or shelter available, you may believe your situation to be utterly hopeless. 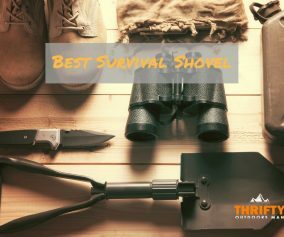 This couldn't be further from the truth, which is why I want to lay out a guide of common trees that anyone can recognize which can all also be used for survival in such dire circumstances. Red Maples are fairly easy to spot, due to the reddish pink hue of their leaves, and have a wide range of growing conditions. They can be found in most climates in North America, from high or low elevation, to dry or damp soil. Maple tree seeds are edible, and even contain protein. They can be eaten all year around, but you must first remove the 'wings' of the seeds before eating. The best time to munch on maple seeds would be in the spring, as they grow progressively bitter throughout the year. 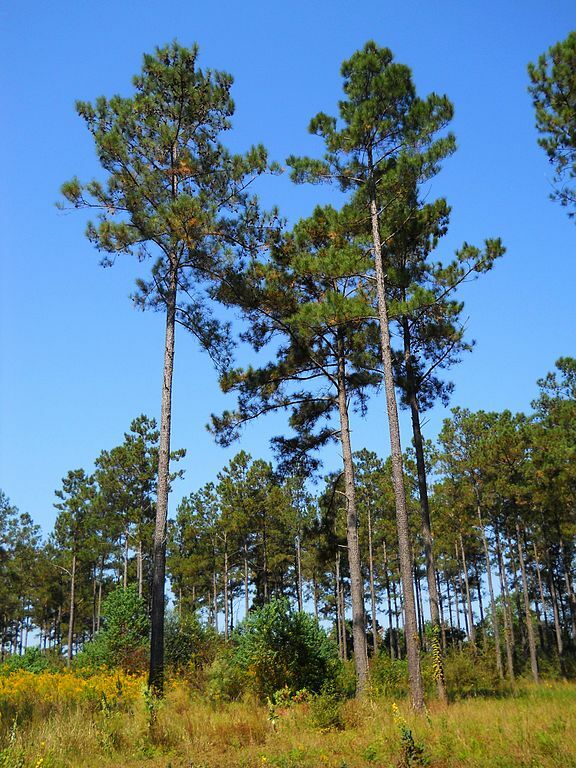 The loblolly pine is an evergreen that produces dry, brown cones up to 6" in length, grows in an oval shape, and features thin, yellow-green needles that can reach up to 10" long. For survival purposes, the Loblolly pine offers several options. Firstly, pine nuts can be scavenged from fallen cones and consumed raw or roasted. Pine needles can also be gathered in order to produce a tea packed with copious amounts of vitamin C. Finally, by using a knife to cut away at the outer bark, you can access the soft, inner bark and boil, fry, or pound it out into flour. 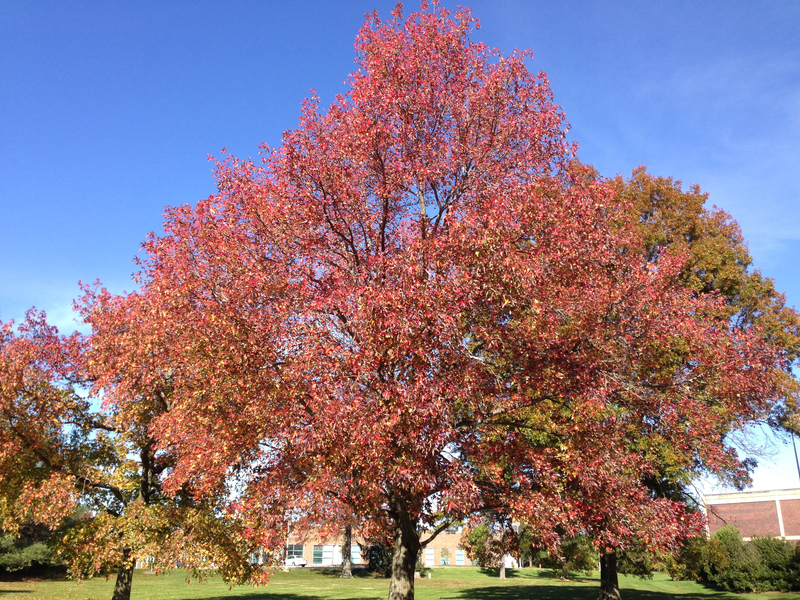 Sweet Gum, also known as Liquidambar, is a large tree that can be found in the Midwest. It can be identified by its broad, flat, star-shaped leaves, with anywhere from five to eleven lobes each. Perhaps even more distinctive of the Sweetgum is its fruit, which stores its seeds in capsules, and look like little, spikey balls. The only edible source to be found on the Sweet Gum is its dried sap, which forms a sort of bitter chewing gum, despite its name. A less known fact, however, is that an herbal tea can be made from the bark to treat the flu. Easy enough﻿﻿ to﻿﻿ spot, you can tell a tree is a douglas-fir by simply comparing it to the memory of a Christmas tree. It grows in a pyramidal shape, has soft needles, and depending on the region, can have dark yellow-green, to more bluish-green coloring. 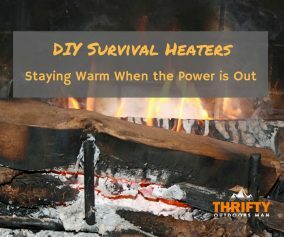 You can easily make a tea by using the needles of the douglas-fir. The sap can be used in a pinch to close up cuts and scrapes, and like the loblolly pine, the inner bark can be scraped out for consumption. 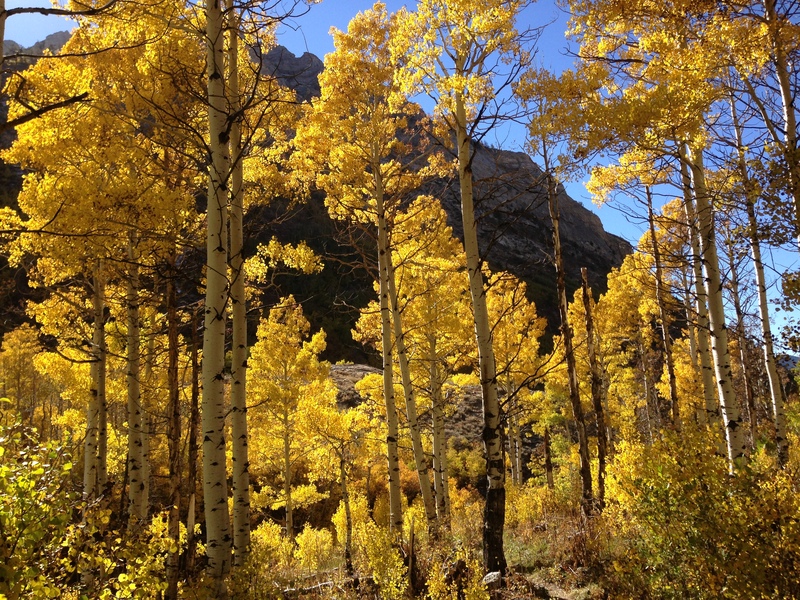 The quaking aspen grows up to 50 feet and can be found in a myriad of climate and soil types. In the fall, its leaves turn a bright yellow, and its bark is smooth with a greenish-yellow color to it. The leaves of the quaking aspen are rich in vitamin C, and the inner bark, when dried, can be ground into a powder and used in making bread. The bark contains medicinal properties, and can be used to treat fevers, infected wounds, and sprains. 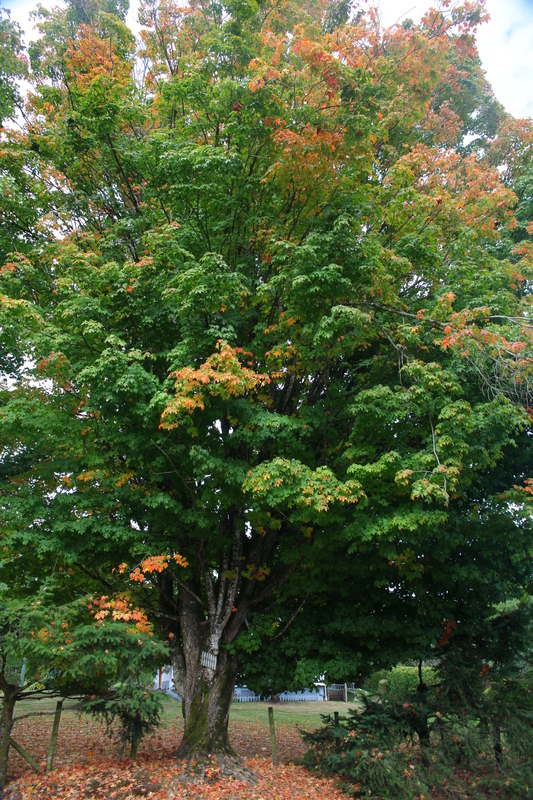 The sugar maple prefers moist soil, but can survive in moderate drought conditions. It grows in a round, oval shape and its leaves are three to five inches long, with five distinct, slightly toothed lobes. The sap of the sugar maple contains a good deal of sugar, hence the name, and can be drank by itself, or made into a syrup by boiling off the water. Seedlings collected in the early spring can be collected and consumed raw, but when found in later season, the wings must be removed and the seeds boiled. The Balsam fir is an evergreen well adapted to the colder climates of North America and Canada. Much like the douglas-fir, it resembles a Christmas tree in appearance. It grows in a narrow, symmetrical, spire shape, and grows blisters of resin along the trunk. 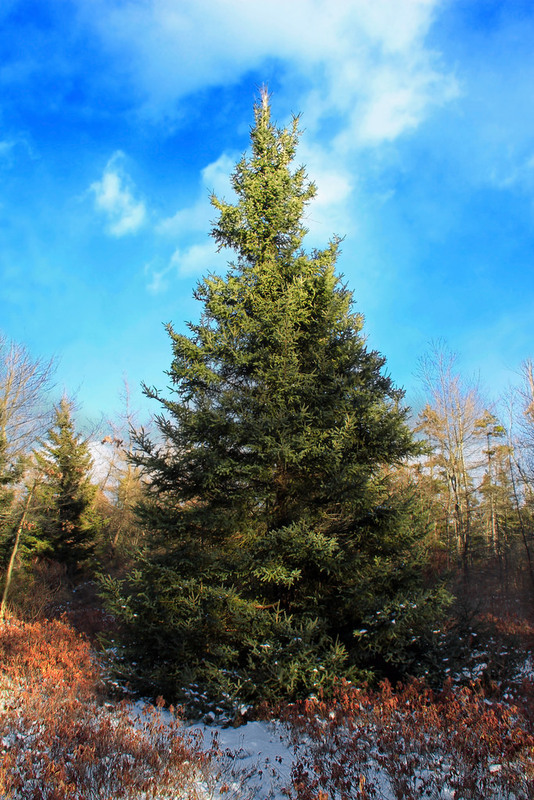 The pitch of the balsam fir has a variety of survival possibilities. the pitch can be found in the blisters along the trunk, and can be used as a painkiller, antiseptic, and a medicinal tea to help with a number of health problems. It can be eaten directly, and also used as a fire-starting aid, as it burns slow and long. 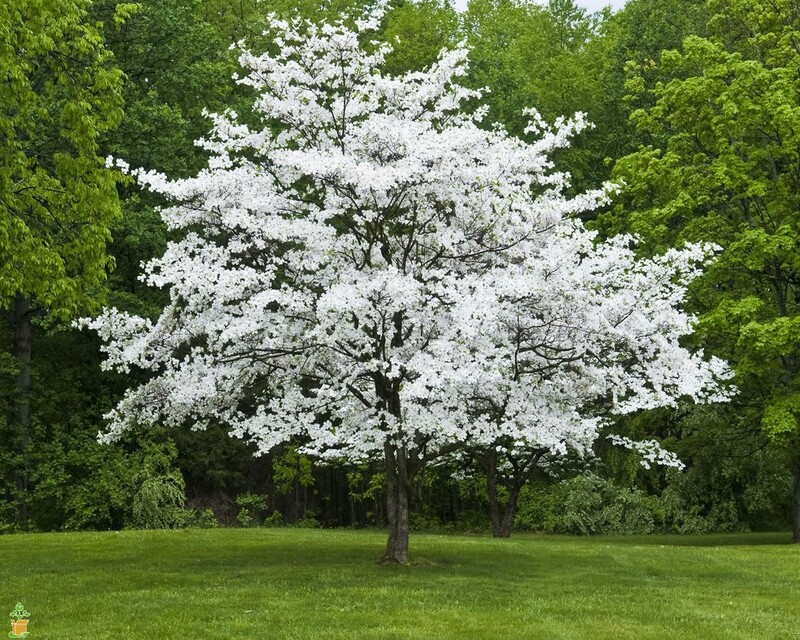 The flowering dogwood ranges in size from that of a shrub to a small tree, and has egg shaped leaves that grow dark green with somewhat wavy edges. The bark is dark brown and the flowers small and white, grow in clusters together. Its fruit are bright crimson berries that grow in the center. The fruit of the flowering dogwood can be consumed if cooked, but is practically inedible if left raw. The dried root bark of the dogwood has some medicinal properties, however, and can be used as a stimulant, poultice or tonic. 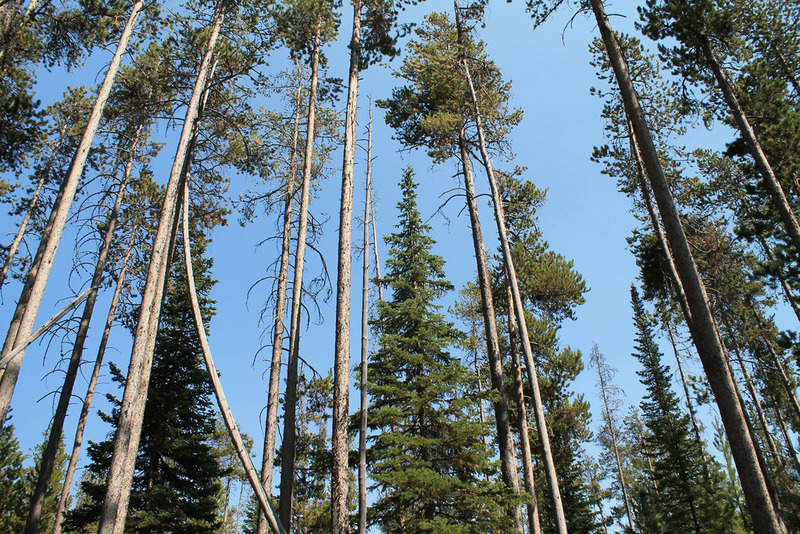 The lodgepole pine grows tall, slender, and straight, and its bark is brown to gray and thin. The needles of the lodgepole pine bunch into groups of two, and are twisted and pointed. 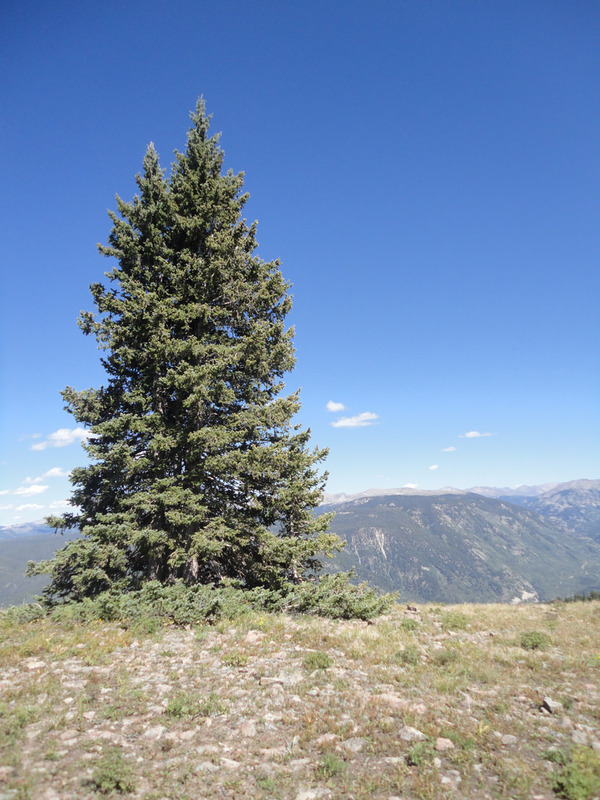 Like most other pines, the inner bark of the lodgepole can be scraped out and collected for consumption. Its pitch can be chewed to soothe a sore throat, and if mixed and boiled with animal fat, can be turned into a poultice for joint pain. 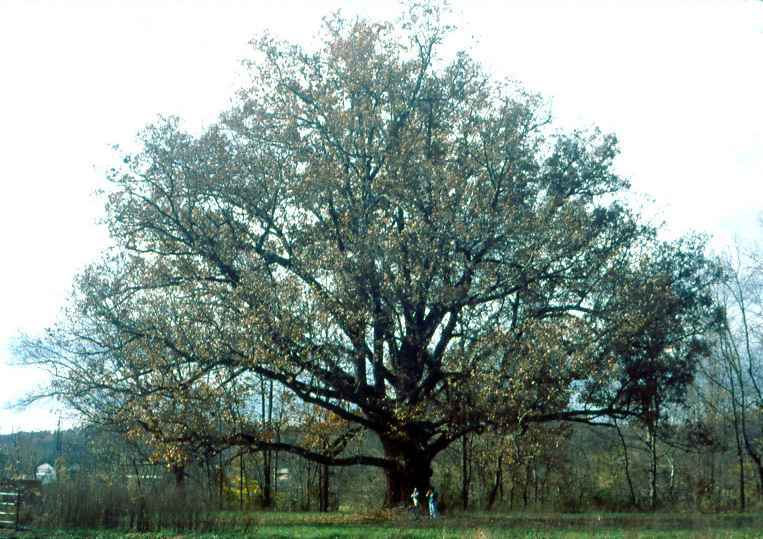 The white oak can be found throughout the eastern United States and in some places in southeastern Canada. 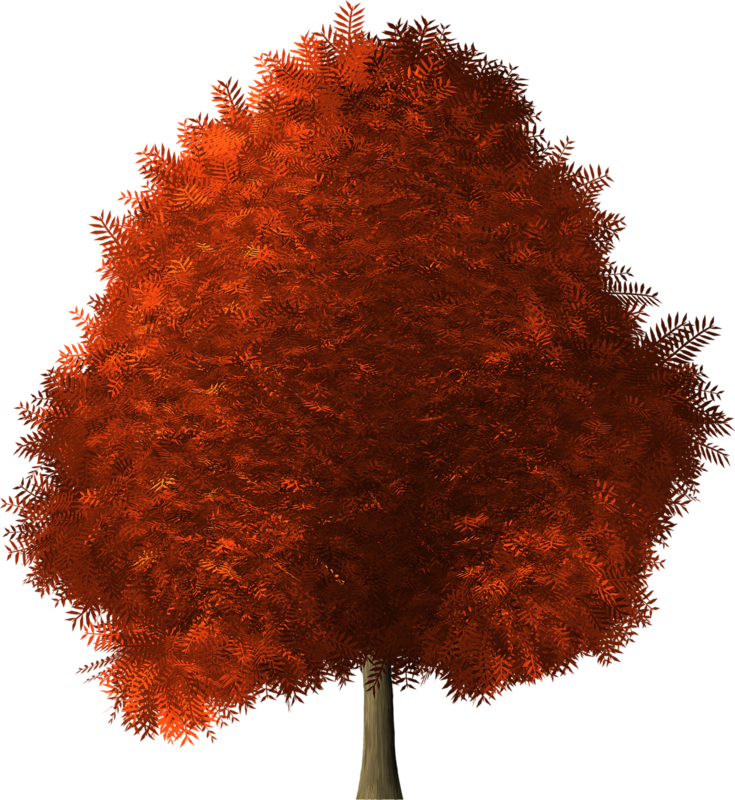 It grows up to 80 feet tall, produces leaves with four to eight finger-like lobes, and drops acorns up to one inch long. The acorns of the white oak can be eaten raw, but are best if roasted or boiled and then dried, and they are rich sources of both protein and fat. When in doubt, do as the squirrels do. If you're anything like me, sometimes when you go camping you aren't fully prepared, and it can grant a calming peace of mind to know that, even if you are left with nothing, mother nature will provide.